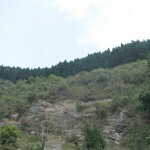 Places to see in Sumbuk: The dense forest at the Southern slope of Lower Sumbuk, which is famous as a Peacock Breeding forest is one of the prime attractions here. The banks of Rangit River, numerous Gladiolas Farms and few age-old temples make Sumbuk a very different type of attraction. The Sumbuk Shivalaya Mandir dedicated to Lord Shiva is revered highly by locals and mass prayers are often organized during auspicious occasions. 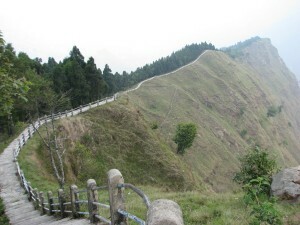 The Kolomple Rocky Mountain also has a nice viewpoint overlooking parts of Sikkim and Bengal. However, the show-stealer is the region of Upper Sumbuk at an altitude of 7000 feet. It takes around an hour to reach Upper Sumbuk from lower Sumbuk. 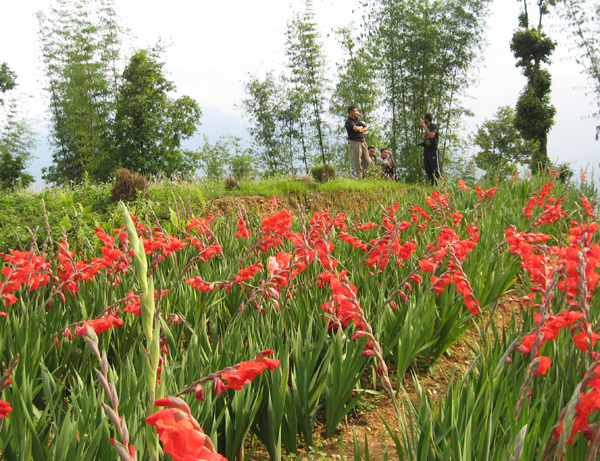 Mungram Village also known as Phooldara (hill of flowers) has a wide variety of Rhododendrons, wild orchids, pines, wild strawberries blooming in different seasons of the year. A huge tract of pine forest known as Dhupi covers most of Upper Sumbuk and you would find endless varieties of birds and butterflies here. Tamley Chaur, located just above Phooldara in Upper Sumbuk is covered in pines, rhododendrons, ferns, cinnamon and wild strawberries. From Tamley Chaur, you can enjoy a glorious view of the Himalayan ranges. There is also a beautiful lake located at the Tamley Chaur called Tamley Pokhri. The natural viewpoints of Upper Sumbuk offer panoramic views of Mt. Kanchenjungha, Darjeeling, Kalimpong and other parts of Bengal. Nearby attractions of Sumbuk: Kitam Bird Sanctuary, which is adjacent to Lower Sumbuk is the only designated bird sanctuary in Sikkim. 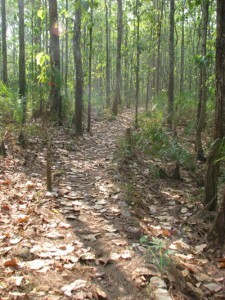 You can take a guided bird watching trip through these forests and enjoy spotting some rare birds and lots of peacocks. The town of Namchi is also nearby and its attractions like Chardham in Solophok and Samdruptse Monastery can all be reached within an hour from Sumbuk. Another great destination is the nearby village of Sadam, which is famous for the geological wonder – Tarey Bhir. 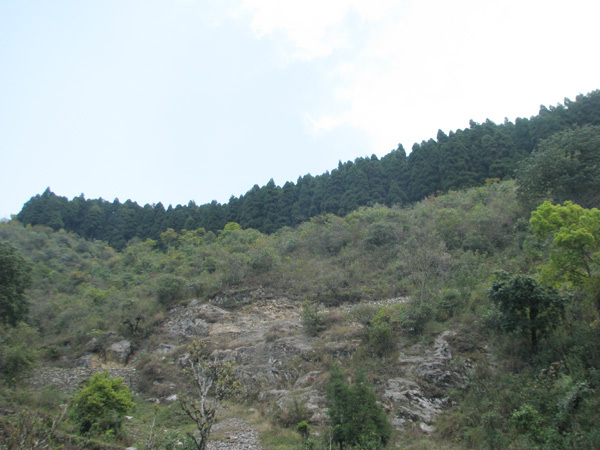 It is a ridge 10000 feet long with an abrupt drop of 3500 feet. There is a path over the edge of the ridge on which you can walk and enjoy the enchanting views of River Rangit and River Teesta, Darjeeling, Kalimpong, Siliguri, Tendong Hill, Nathula, Jelepla and Mt. Kanchenjungha. Things to do in Sumbuk: Birdwatching is the favourite activity of guests in Sumbuk. 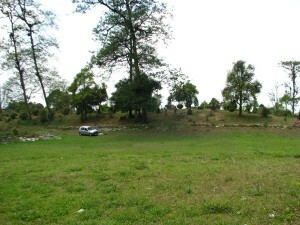 The southern slope of Sumbuk is a favourite habitat of the peacock and guests can easily spot them and photograph them here. Other common birds to be found here are Jungle Fowls, Kaleej Pheasant, Himalayan Flameback, Magpie, Forktail, Bulbul, Giant hornbills and the list is endless. You can trek along the banks of River Rangit and Manpur River in Lower Sumbuk and enjoy butterfly watching. Guests can also enjoy White Water Rafting in River Rangit. The rafting starts at Baguwa and ends at Champa – the stretch is almost 6 kms. 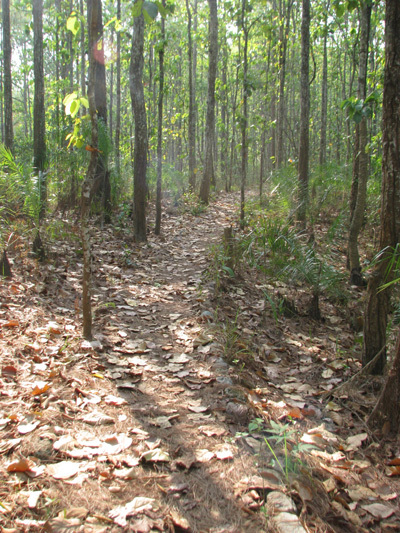 You can also enjoy guided jungle walks and catch a glimpse of wild boars, barking deer and lots of peacocks. 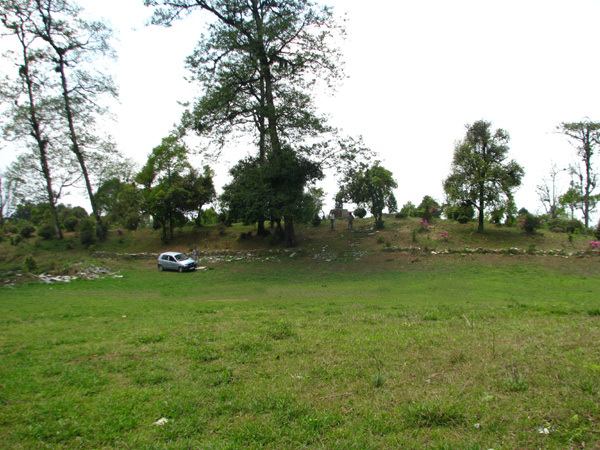 Guests can also enjoy village walks or enjoy a picnic in Phooldara. Best time to visit Sumbuk: You can visit Sumbuk any time of the year. From March to May the weather is sparkling fresh and you can enjoy blooming of Rhododendrons too in Upper Sumbuk. In Sumbuk, the winters are mild and the weather is too good for bird watching. Migratory birds also visit Sumbuk during the winters. If you are planning to spend a few days in a destination where you would be the only outsider then Sumbuk can be your choice. Lodging and dining facilities in Sumbuk: Unique Homestay facilities are available at Sumbuk with clean, comfortable and homely atmosphere. You can stay within the local community and understand their culture, beliefs and society. The homestay facilities have separate guestrooms and attached bathrooms for the guests and they provide facilities like electricity, clean and comfy beds and home cooked fresh food. Indian food is generally served but specific requests of the guests are always honoured by the hosts. Sumbuk was a great place also our host is very good. 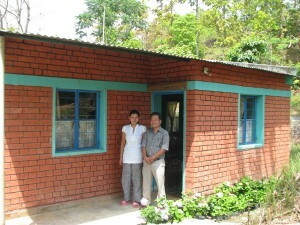 The location of Kitam homestay was beautiful, though we have enjoyed our stay in Sumbuk more.